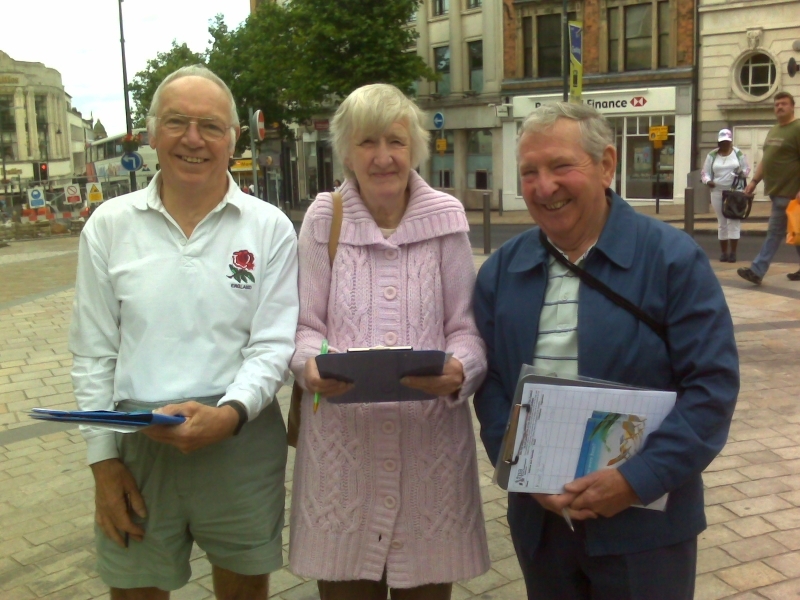 Saturday 23rd August saw the first of our West Midlands Action Days in Wolverhampton, with activists turning out to petition the city council for lower council tax. The weather held out long enough for us to to collect almost 100 signatures, and phase two – another Action Day at the local market – is already being planned! Even on a busy Saturday afternoon, shoppers were incredibly receptive and overwhelmingly supportive of our cause, with many asking questions about the Wolverhampton TPA. At one point TPA Activist Don Morris even had a queue of people waiting to sign! Local residents clearly feel pretty strongly that it’s time for a tax cut! It looks as though our next day will be in Worcester in September, so if you want to do something proactive to help the TPA and our campaign for less waste and lower taxes then please do come along! Doing something like this encourages others to get involved, so get in touch with me at fiona.mcevoy@taxpayersalliance.com to register your interest in having a TPA Action Day near you!